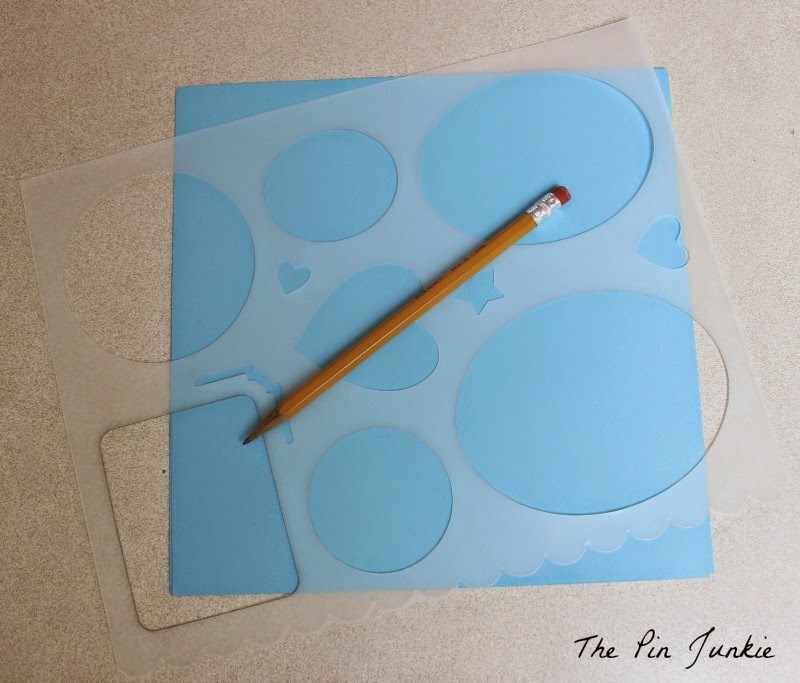 Using the stencil, trace two ovals onto the blue paper and cut out. Cut one of the ovals in half. 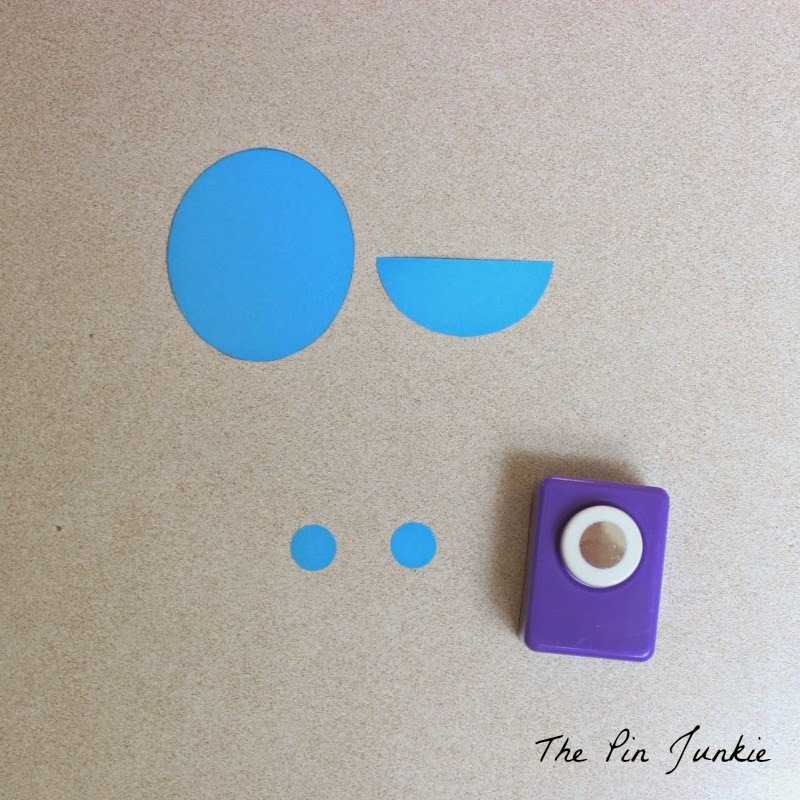 Then punch out two small circles with a paper punch. 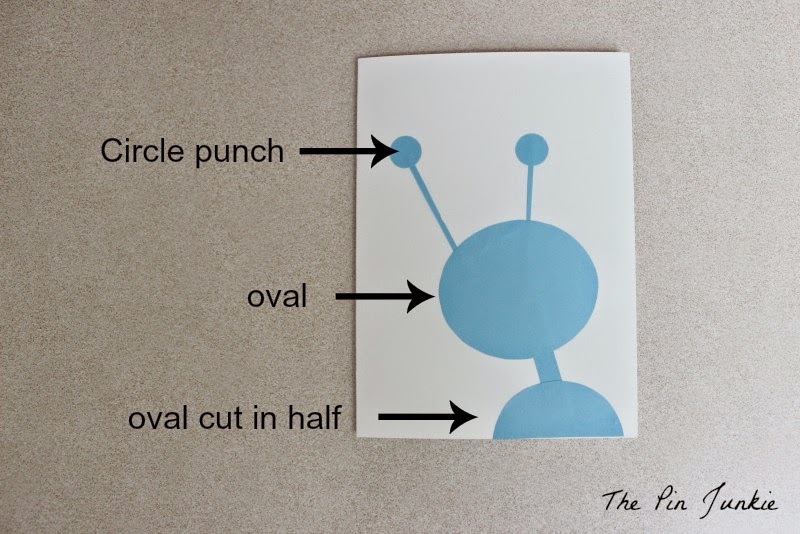 Use the full oval for the alien's head and the half oval for the alien's shoulders. The two small circles are the tips of his antennas. 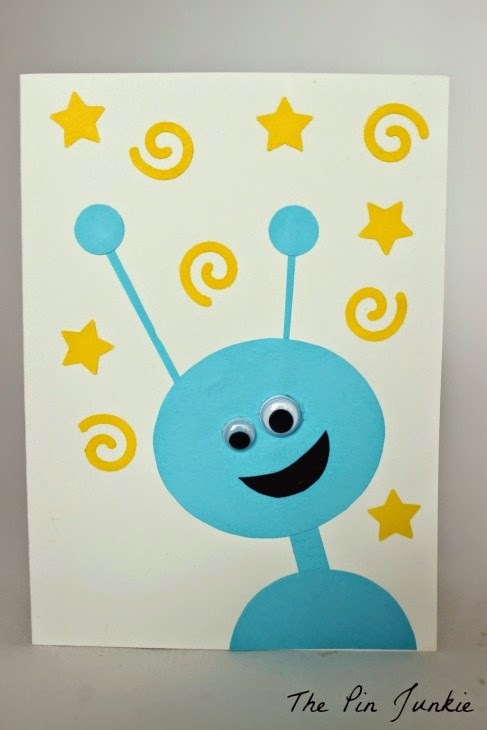 Use thin strips of paper to connect the antennas to the head and the head to the shoulders. 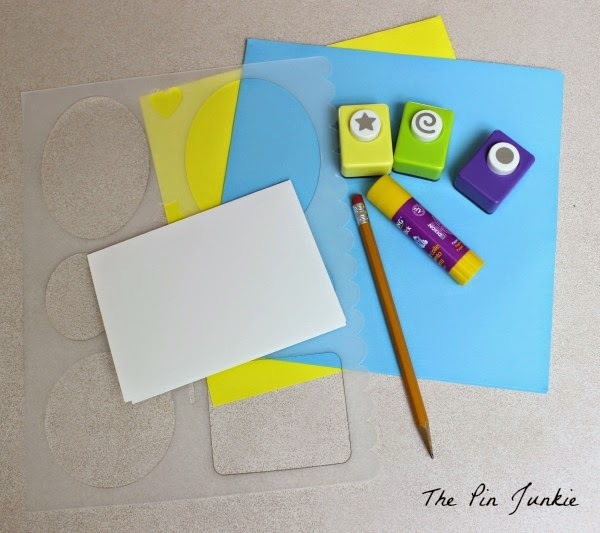 Glue everything in place on a piece of card stock. 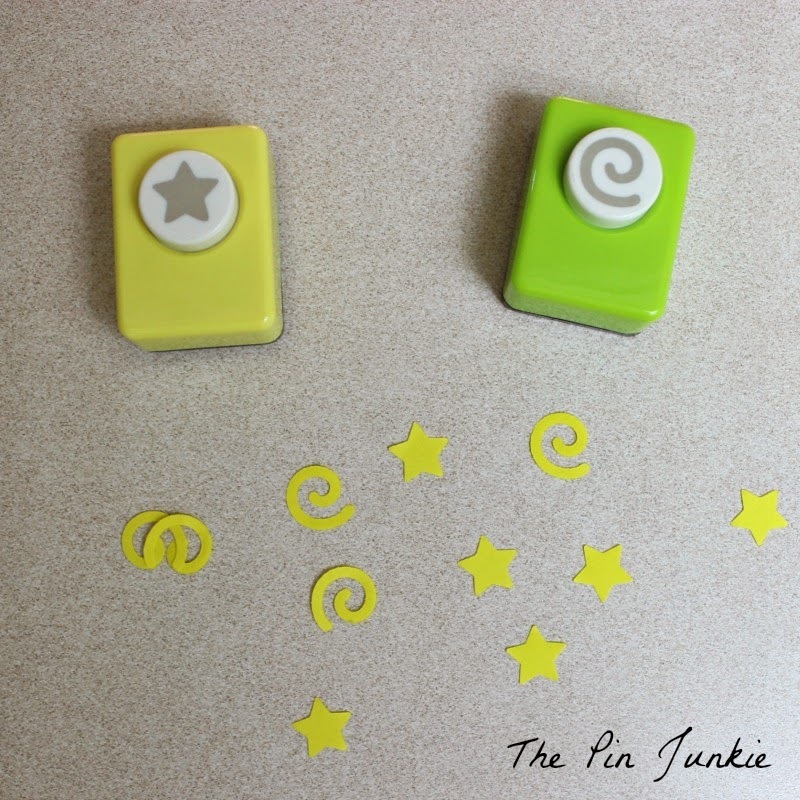 Next, punch out some stars and swirls . . .
. . . and glue them onto the card. Glue on the googly eyes and a mouth and you're done! Adorable! 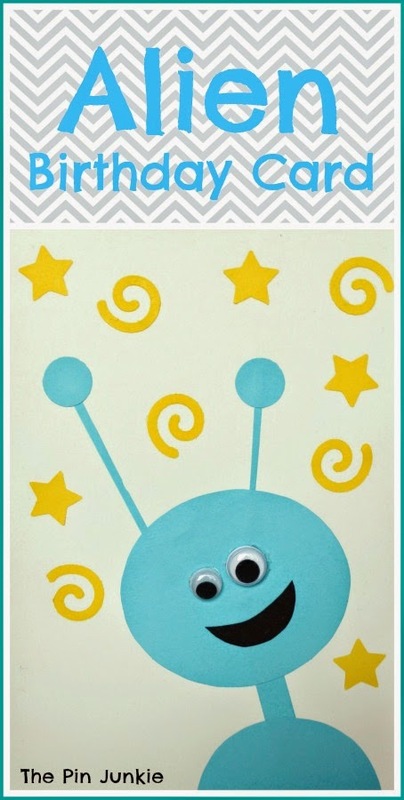 I think it would be so cute to make a large version and play pin the eye on the alien as a party game. Thanks for sharing with SYC. So fun & adorable! Thanks for sharing!